The brand assessment amount is $300 per brand and is good for five years. Brand owners can bring or send checks made payable to "Brand Inspection Division", together with their 2017 Colorado Brand Assessment Notice, to the Brand Inspection Division, 305 Interlocken Parkway, Broomfield, CO 80021. Questions can be directed to the Brand Office at (303) 869-9160. 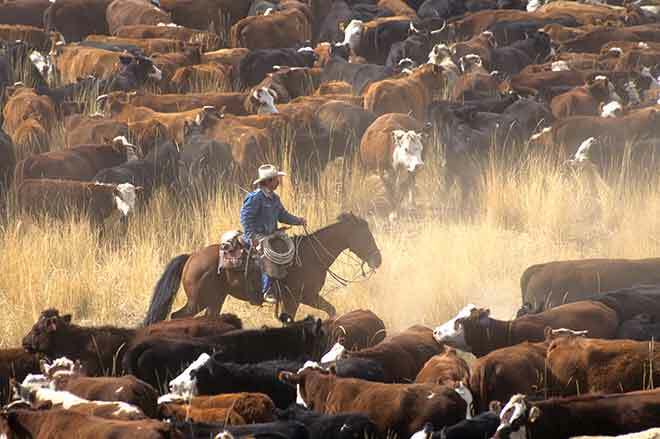 "Livestock inspection has been an integral part of Colorado's agricultural history for over 150 years. Inspection serves several purposes, including verifying ownership, deterring theft, facilitating the return of stolen or missing livestock, facilitating commerce, protecting livestock owners and financial institutions, and creating an accurate record of livestock movements in the event of disease outbreaks," said Chris Whitney, CDA's Brand Commissioner. In fiscal year 2016, brand inspectors traveled over 1.1 million miles inspecting approximately 3.8 million head of livestock.